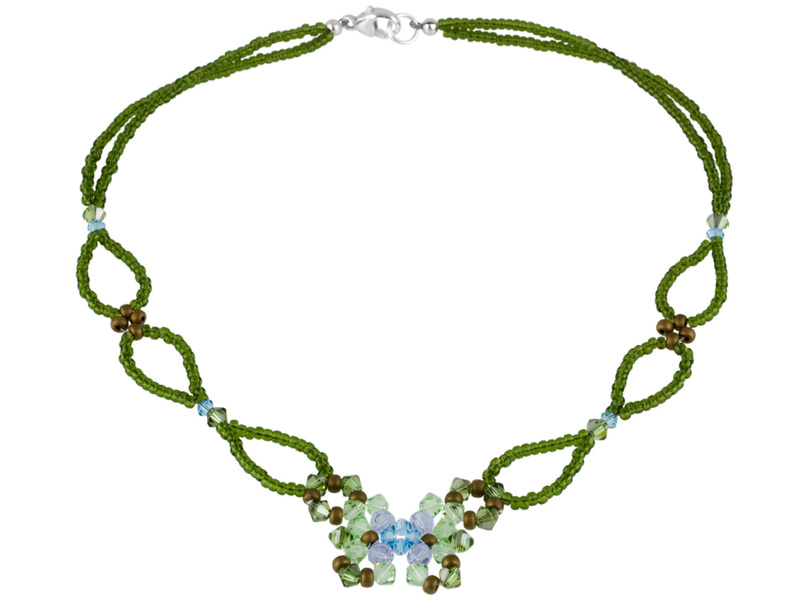 This pattern can be found in the Book "Bead Fantasies". This book has mostly illustrations and very little instruction and is best suited for advanced beaders. We used the Fire Line Thread to create the butterfly centerpiece and then the SoftTouch Line to make the necklace.